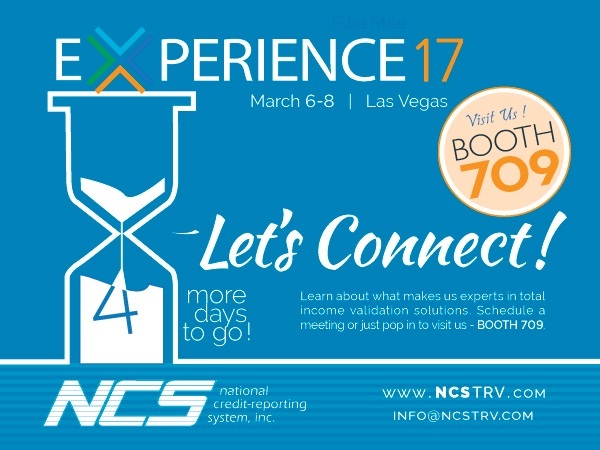 Let's Connect at Ellie Mae's Experience 17, March 6-8, at the Wynn Las Vegas. Learn what makes us experts in total income validation solutions. Schedule a meeting or just pop in to visit NCS at Booth #709.